The four classical medicine wheel teachings have originally been created to teach traditional spirituality of the North American Indians. Ceremonies teach us how we use our spiritual senses to see into the spirit world and to gain universal knowledge. At the same time these medicine wheel ceremonies teach us to move with the spirit. By using the Medicine Wheel and the Four Wind Directions we learn the build our own permanent wheel. There is a fixed following order in these teachings in order to truly understand how the Native American Indian was making use of the this spiritual tool. The Classical Medicine Teachings are divided into four ceremonies. 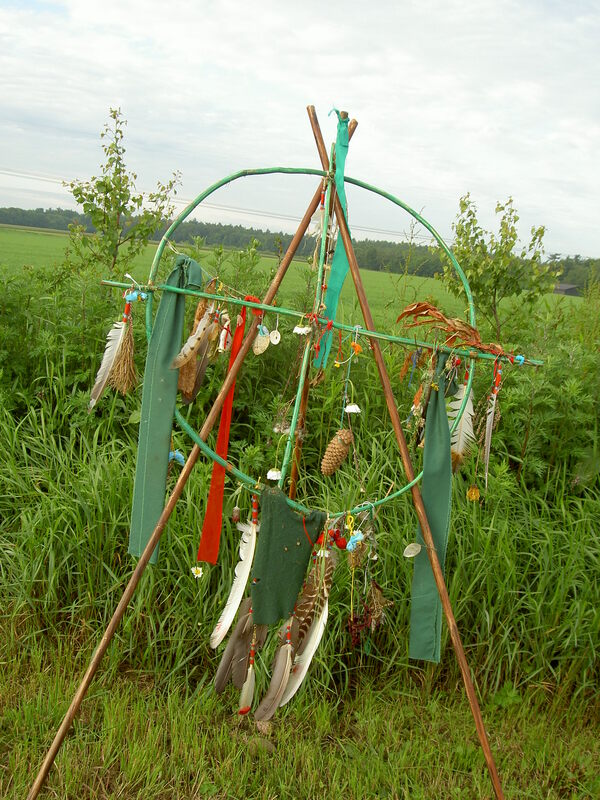 The First ceremony is about building the Medicine Wheel and defining the four wind directions, and the colors associated with each wind direction. We learn how to use our spiritual perception in order to ‘dream’. The Second ceremony is calling the representative totems for each wind direction, and so truly connect again with the animals of the earth. We learn to start travelling and moving our spirit into a wind direction with the animal spirits. The Third Ceremony is about finding your personal medicine. We learn to use our awareness and will be guided by our personal totem. We journey into the wind directions to obtain personal medicine. The Fourth Ceremony is about travelling into the wind directions to meet your own ancestors of ancient times, and to connect with the Grandfathers and the Grandmothers of universal wisdom. In order to participate into the advanced teachings and ceremonies of the North American Indians, the four classical teachings are recommended.